Brooks Wilson Ltd., by J.M. Ryan (Gold Medal, 1966). 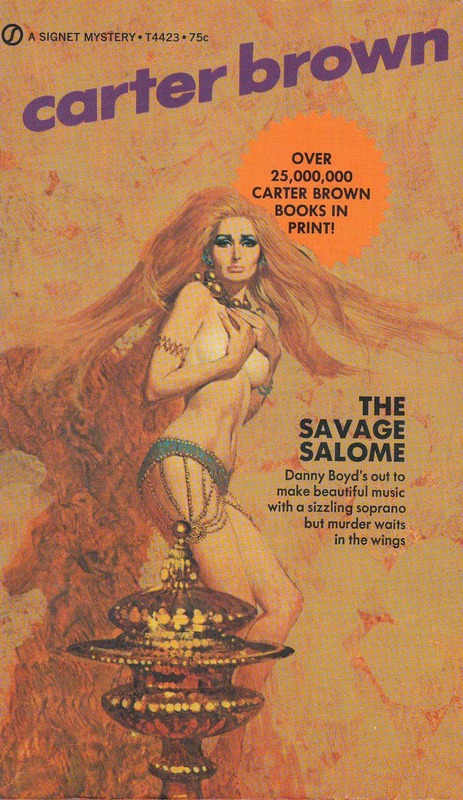 McGinnis’ full, fabulous wrap-around artwork is featured here. 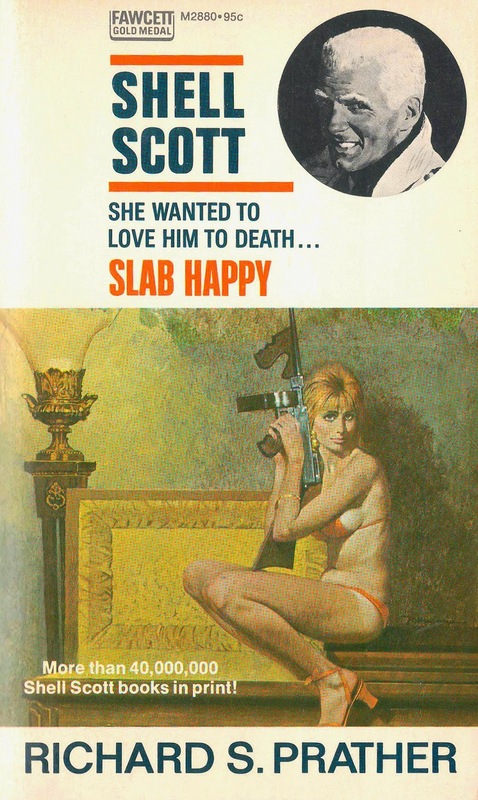 Slab Happy, by Richard S. Prather (Fawcett Gold Medal, 1973); Bats Fly at Dusk, by Erle Stanley Gardner (1960). 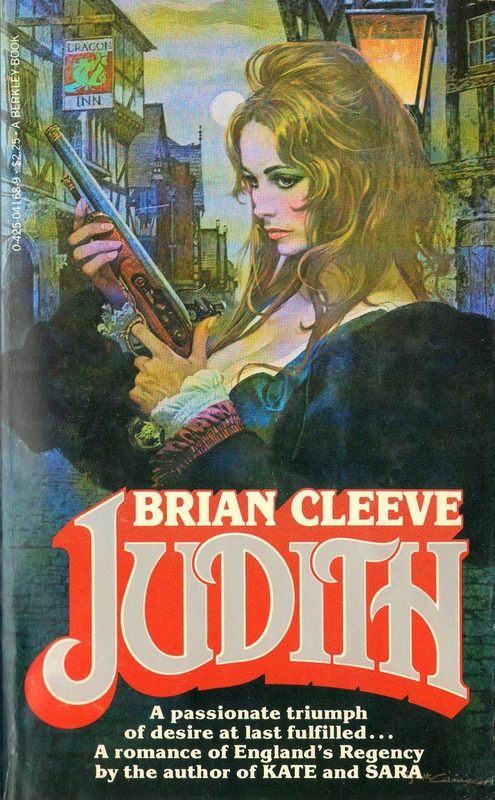 Judith, by Brian Cleeve (Berkley, 1979); Oh Careless Love, by Maurice Zolotow (Avon, 1959). 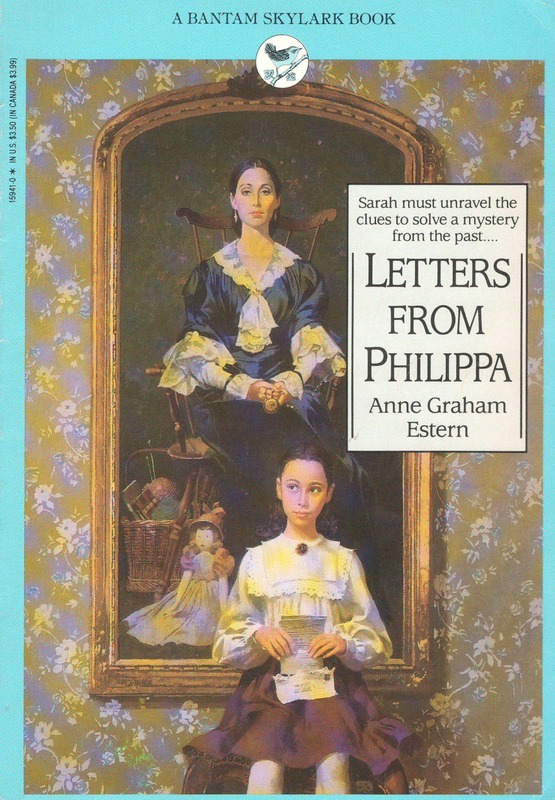 The Savage Salome, by Carter Brown (Signet, 1961); Letters from Philippa, by Anne Graham Estern (Bantam Skylark, 1991). 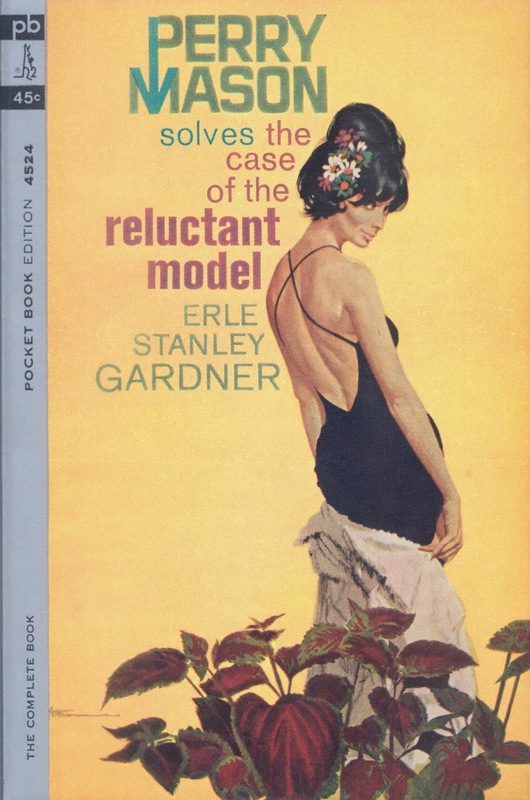 On the Run, by John D. MacDonald (Fawcett, 1963); The Case of the Reluctant Model, by Erle Stanley Gardner (Pocket 1963). 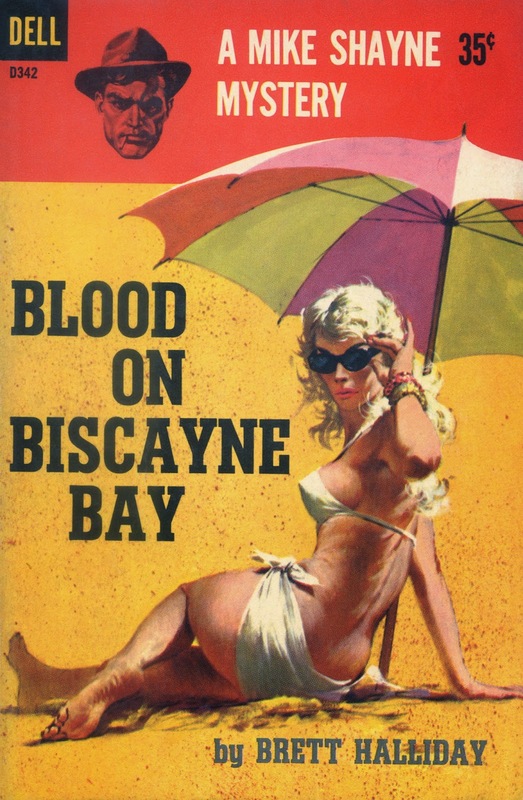 Don’t Speak to Strange Girls, by Harry Whittington (Gold Medal, 1963); Blood on Biscayne Bay, by Brett Halliday (Dell, 1960); below -- Backwoods Teaser, by Gil Brewer (Fawcett, 1960). 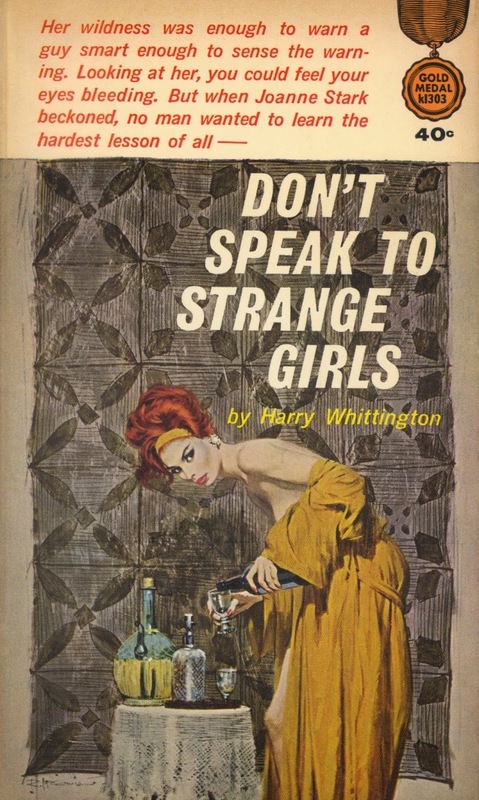 Fabulous covers! 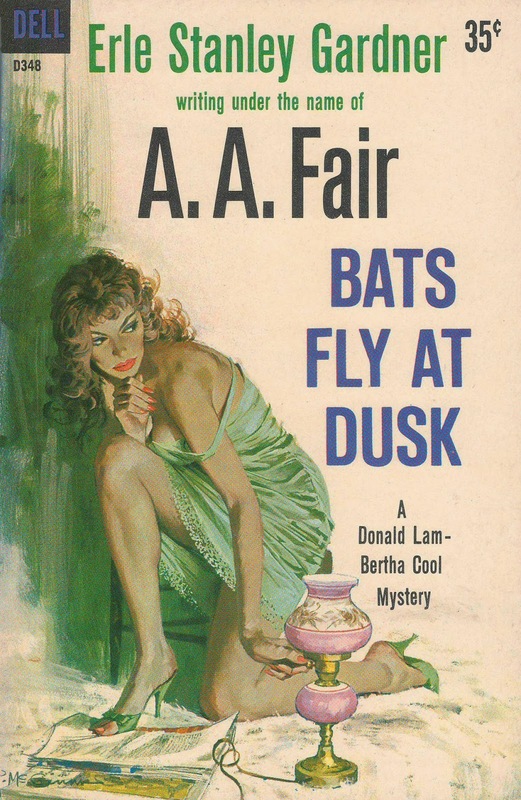 I can't wait to see the McGinnis book! And read Art Scott's essay. It's interesting sometimes if you're familiar with the actresses and models of the time -- Sophia Loren and Audrey Hepburn were frequent "look-similars" of the final product. I'm sure the painters had actual models, but for the face it was clear they were probably using someone well known in the time period. 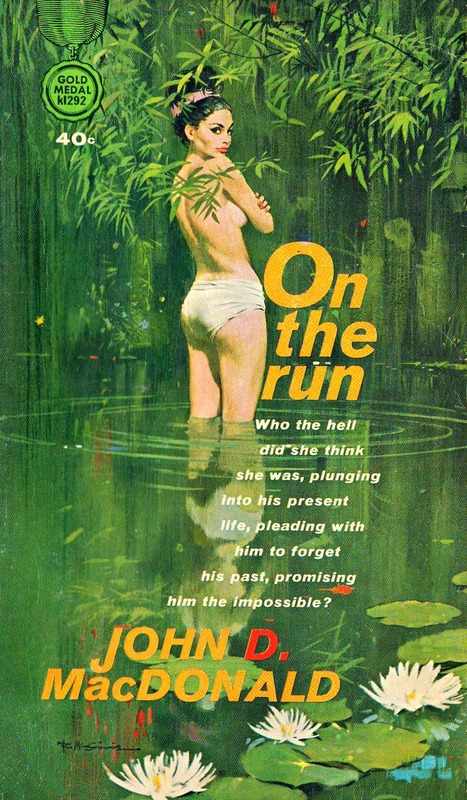 In my collection on pinterest pages there are nearly 1000 covers by McGinnis. Like his Carter Brown series, Shell Scott etc. However, now my best is Nicchia by Geoffrey Wagner, Popular Library 1961.